Margaret Spellings took office as president of the 17-campus University of North Carolina system on March 1, 2016. In the early months of her tenure, Spellings has completed a statewide tour of all 17 constituent institutions and University affiliates to gain a better understanding of their respective strengths, needs, and potential. In partnership with the UNC Board of Governors, she has launched a new strategic planning process focused on making North Carolina the nation’s leader in affordability, accessibility, student success, economic impact, and excellent and diverse institutions. To that same end, she also has restructured the UNC General Administration to better support and advance these strategic priorities. Nationally known as an education thought leader and public policy expert, Spellings had most recently served as President of the George W. Bush Presidential Center in Dallas, Texas, where she planned, managed, and implemented programs on economic growth, education reform, global health, and special initiatives focused on women and military service. Her work at the Bush Center included the 2014 launch of the Presidential Leadership Scholars program, a one-of-a-kind leadership program born out of the first-ever partnership of multiple Presidential Centers. Early in her career, Spellings served as legislative director and chief committee clerk for the Texas House of Representatives, special projects director for Austin (TX) Community College, and led governmental and external relations for the Texas Association of School Boards. From 1995 to 2000, she was senior advisor to then-Governor George W. Bush of Texas. Following his election as President, Spellings served in key positions in the Bush Administration. As White House Domestic Policy Advisor, from 2001 to 2005, she led the development of the President’s domestic policy agenda.Her areas of responsibility included education, transportation, health, justice, housing and labor.In that role, she oversaw the development of the U.S. President’s Emergency Plan for AIDS Relief, the development of a comprehensive immigration plan, and numerous other initiatives. From 2005 to 2009, Spellings served as U.S. Secretary of Education, the nation’s senior policy official on all aspects of education—primary, secondary, and post-secondary. During her tenure she led the implementation of the No Child Left Behind Act, a national bipartisan initiative to provide greater accountability for the education of 50 million U.S. public school students. As Secretary, she also launched a national conversation on the future of higher education that resulted in an action plan to address challenges of access, affordability, quality, and accountability of our nation’s colleges and universities. In addition to developing and implementing international education agreements on behalf of the President, she also helped manage the federal role in the aftermath of crises including Hurricane Katrina, the credit crunch in the student loan industry, and the Virginia Tech shootings. 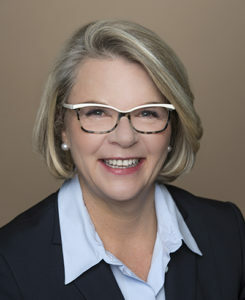 From 2009 until joining the Bush Center in 2013, Spellings was president and CEO of Margaret Spellings and Company, a Washington, D.C. consulting firm that provided strategic guidance on a variety of domestic policy matters, particularly those related to education and workforce issues. During much of this same period, she served as a president of the U.S. Chamber of Commerce Foundation, leading its initiatives to drive effective education and workforce training reform. She has two adult daughters.